Located on the beautiful road to Fort Aguada, this restaurant is a perfect dining place if you are craving some Pan Asian cuisine. I loved the food as well as the service at this place. To start with, we ordered a green platter consisting of fresh greens, coconut, tamarind, peanuts, onions and lime. It was something unusual but definitely a must-try. Their soups, the stir-fry vegetables and the noodles were delicious too. The ambience of the place is quite pretty with a large open terrace decorated with chinese lights. 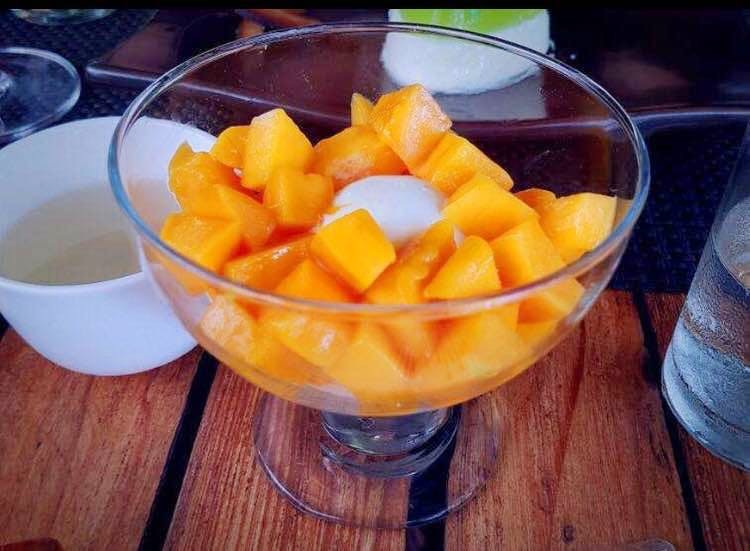 Don’t miss the fresh mango ice cream if you going their pre-monsoon. This places in Goa is well-rated and can get busy. So make sure you call and book a table in advance.